That is really strange. This is not a stupid government, it has done a lot of good things for its people, it is respected overseas and its model of governance is highly sought after. Yet, one of the basic attributes of a smart government -- squaring with its citizens and carrying them along -- seems to be missing. It was a memorable and bold moment in Singapore journalism. Earlier this week, a dogged reporter's patience and persistence combined with a brave editor's decision to throw caution to the wind ended in an exclusive that brought back memories of the good old days of old-fashioned reporting — and put the government in an embarrassing spot. 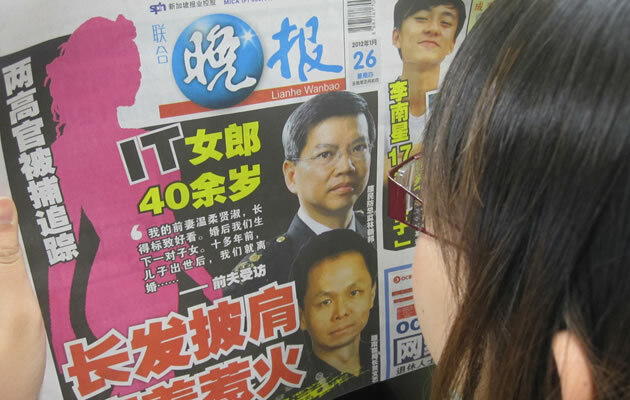 The Chinese evening newspaper, Lianhe Wanbao, went ahead with a report on the corruption investigations into the activities of two top public service officers — Singapore Civil Defence Force chief Peter Lim Sin Pang and Central Narcotics Bureau chief Ng Boon Gay — without a government confirmation. It named names and gave details, like the involvement of a woman in the scandal, knowing fully well that there was a chance — a very small chance, maybe — that it could get some important details wrong. When the government statement came — on the same day but after the paper had published the report — the news had already caught fire with the on-line world hammering out posts and reports and raising pointed issues that ranged from transparency to arrogance. The most damaging statement, unintended though it was, came from the Corrupt Practices Investigation Bureau. In response to media queries, it said that the narcotics man was arrested on Dec 19 and the civil defence boss on Jan 4, many days before the government put out its statement on Jan 24. It was too long a lapse and was made worse by the rapid-fire news cycle punishing even those who take a couple of hours to come out with its side of the story. In response to a query by The Straits Times, the government said the investigations are continuing and "it is only fair that we accord the officers assisting with investigations a fair hearing in accordance with the civil service disciplinary process and the law." It is understandable that you want to give those involved, especially when the investigations are still on-going, a good shot at fair play. That occasion passed when the two were arrested. That was the moment when officialdom should have bitten the bullet and said: The tipping point has been reached. And we have to go public with the story. But it remained silent until the unlikeliest of sources — the traditional media, fed by a regular diet of press releases and official speeches — put the story in the public domain. 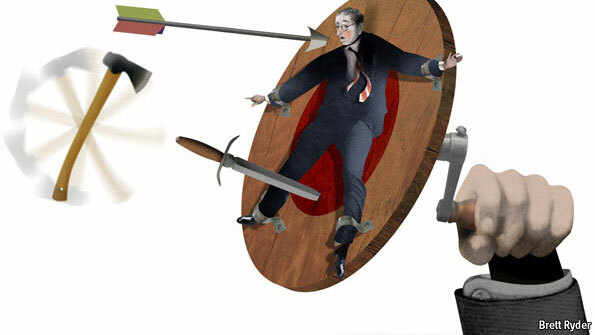 The end result: A government caught with its back against the wall and in a reactive mode. When the Parliamentary debate on political salaries took place from Jan 16 to 18, the one critical point that never came up was that of a clean Cabinet and civil service. The silence on this issue was understandable because corruption in high places in government is extremely rare. But this new development, where two very senior public service officials were under investigation for "serious personal misconduct", could have been brought up and could have added a new dimension to the debate. The salary-corruption link is important. High pay was one way to discourage officials from wanting to have their palms greased. Lee Kuan Yew highlighted that point when he pushed vigorously for top salaries. No reasonable-minded Singaporean would have expected a corrupt-free public service, even with high pay; those who want to get round the laws will always find loopholes to exploit. But you can make sure that corruption cases are as rare as possible. And that corrupt officials, once exposed, will face the full brunt of the law. Even ministers have not been spared. Former National Development Minister Teh Cheang Wan, who was praised by Lee Kuan Yew a number of times, chose to end his life when he faced the heat of an unyielding group of anti-corruption officers way back in the 1980s. Making the CPIB report directly to the PMO gives them the latitude and freedom to investigate even the high and mighty without too many encumbrances. All these could have made the Parliamentary debate more meaningful and relevant. 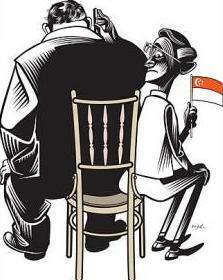 But an opportunity to explain the historical backdrop and context to Singapore's war on corruption was lost. The ruling party kept silent; so did the Opposition. I am more inclined to sympathise with the members of the Opposition because there was no way for them to have information on the latest investigations. Since GE 2011, the government seems to be on its backfoot with communication blunders becoming a regular occurrence. From the Mas Selamat case (official statement was issued four hours after the terrorist escaped from the Internal Security Department's detention centre) to the wrong signatures on YOG appreciation certificates (Minister Vivian Balakrishnan said that it was an embarrassment but not a disaster) to the PAP's electoral defeat in Aljunied (Lee Kuan Yew warned residents that they will repent if Opposition won), it is clear that the government has yet to get a handle on how to communicate effectively in a new world. P N Balji has more than 35 years experience as a journalist. He is now a media consultant.